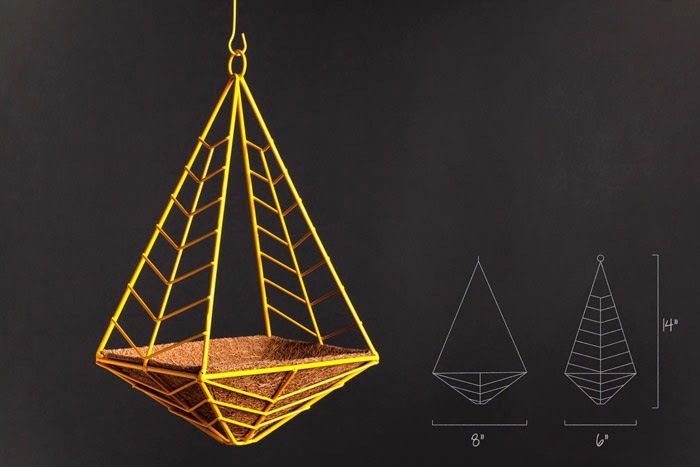 It's hard to find planters that fit and actually look good in your home or on your patio or balcony so when we noticed these planters from HEDGE (a kickstarter project), we had to take a better look! 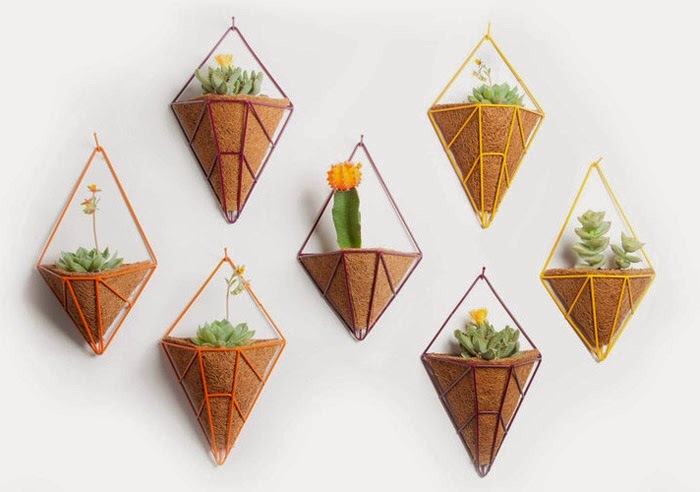 They're the type of planters that would look great anywhere from a wall display to an apartment window, and are also super-easy to hang or wall mount. Also fun fact: Each HEDGE planter is named after a pioneer woman of landscape and garden design: Gertrude Jekyll, Beatrix Farrand, Marian Cruger Coffin, and Florence Bell Robinson who defied the male-dominated field and created garden spaces that continue to be celebrated today. 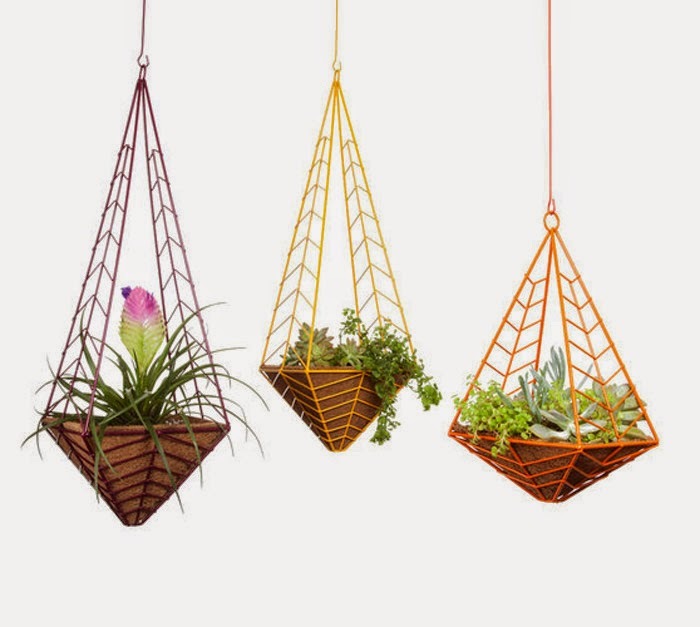 Each planter is crafted in Los Angeles from welded steel wire and is powder coated to bring a vibrant, graphic look to your garden. They can be preordered here. Those are awesome! Thanks for the info! I was just thinking about doing making little planters as wall hangings. 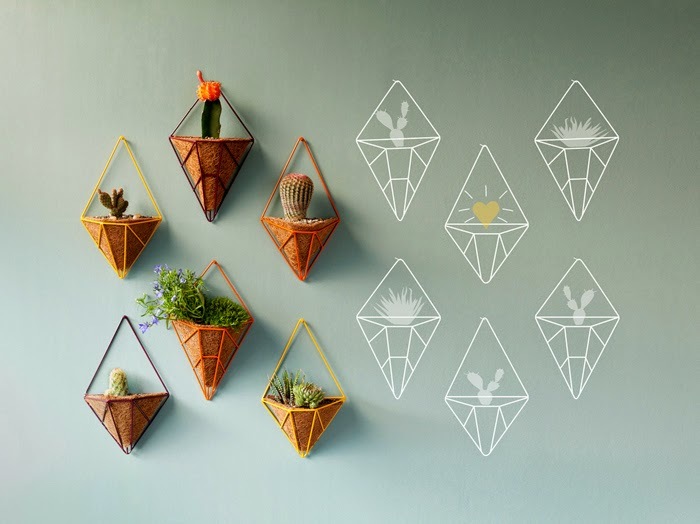 These geometric ones give me more ideas!